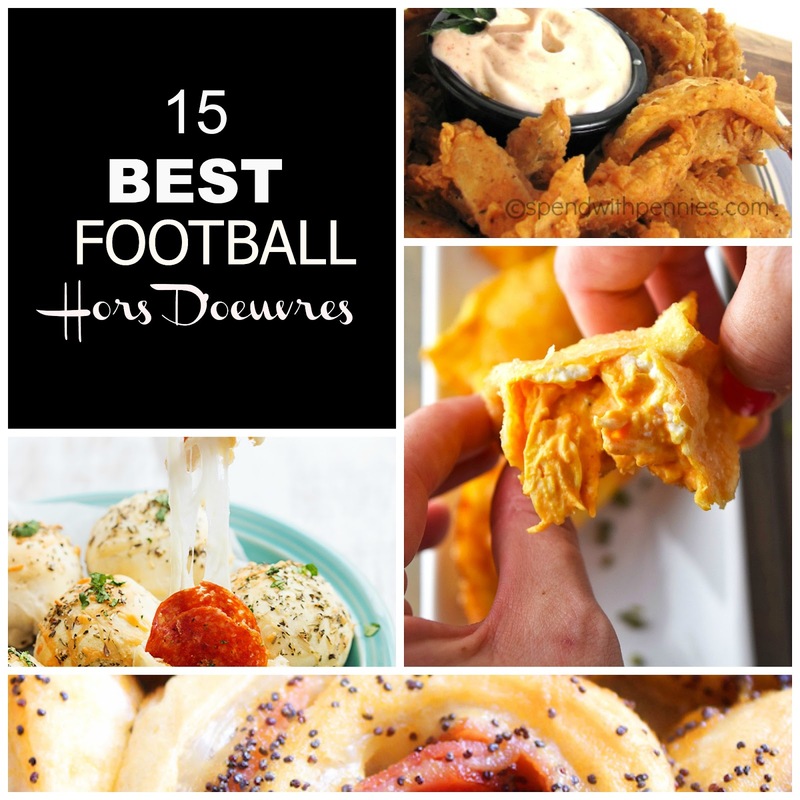 The best football hors d'oeurves you can find on Pinterest for Superbowl, College Playoff, and College Bowl Football season! I cannot get enough football in my life. My wife, Lillian (this is Keaton), can't believe that there are games almost every night of the week if you consider both college and pro games. By the end of football season she is always ready for a break from my obsession with football, but since there are few more weeks left of exciting football I thought it was a great time to post this!! Whether it is Monday Night Football, the College Football Playoff, or the Superbowl, these football hors d'oeuvres will undoubtedly impress your family or friends present for the game! I sifted through pinterest hors d'oeuvres and found the most amazing looking hors d'oeuvres there. I can't wait to try some myself! Enjoy!